Topics: Denzel Washington’s acting, DJ Akademiks & Tekashi 6ix9ine vs Vic Mensa, Drake’s upcoming HBO series with Zendaya, Kendrick Lamar the actor, Boonk’s drug problem & Jonah Hill’s Mid90’s. What it dew Trillions! 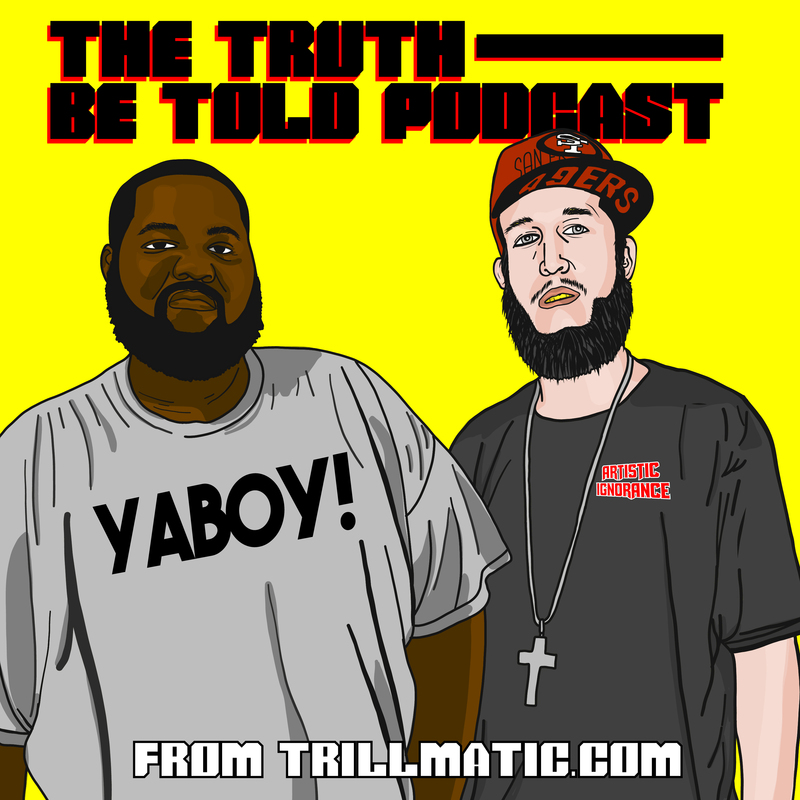 Back again with episode 125 of the Truth Be Told Podcast from Trillmatic.com hosted by Riffa & Bigg UU from Killeen. Thanks for supporting your favorite Hip Hop podcast! Be sure to leave a 5 star review! We kick this episode off with a comment from our YouTube Channel going at Bigg UU’s hot take about Denzel Washington acting the same in all his movies. Riffa comes to the aid of Denzel. (15:55) DJ Akademiks, Tekashi 6ix9ine and Vic Mensa are in a beef triangle but you’ll be surprised at who may have caught the L in this beef. We also discuss the new Vic Mensa track and if he’s a failed rapper as DJ Akademiks says. (26:37) Drake is executive producing a new HBO series with actress Zendaya called Euphoria. It seems as if HBO is trying to take ahold of the culture and take Netflix down. We also spoke about Kendrick Lamar’s acting debut on 50 Cent’s Power. (33:55) Boonk has been displaying a drug or alcohol problem recently in various places on the and most recently on the No Jumper Podcast. But are we as a society enabling it? We also talk about how the internet is the Youth’s new struggle. (54:20) Jonah Hill is writing and directing a new movie called mid90’s. And it stuck out to us mainly because it was from our era.